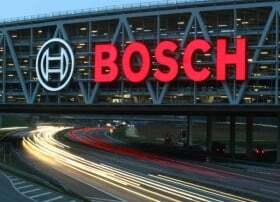 FRANKFURT -- Robert Bosch, the world's biggest automotive supplier, is seeing a drop in orders because of Europe's worsening debt crisis, weak recovery in the United States and a slowing down of car sales in China. Bosch CEO Franz Fehrenbach said the debt crisis in Europe is causing uncertainty that is already hitting order intake and may lead to a recession. "The chaos has gotten bigger and so the crisis has worsened. I fear that the crisis atmosphere is weighing on demand," Fehrenbach said in an interview with the German newspaper Welt am Sonntag. "We can no longer rule out a recession if the uncertainty continues," the CEO said in the interview, published on Sunday. Fehrenbach told the paper that Bosch is beginning to see the first fall in orders because of weak southern European markets and slow recovery the U.S. ''The economic situation in the U.S. has not shown the desired recovery and the country is showing a disappointingly slow growth," he said. Fehrenbach said China is a worry too, with an expected increase in car sales of 3 percent this year as the goverment deliberately puts the brakes on growth. Fehrenbach said Greece may have to leave the eurozone to protect the euro. "Up to now I have always supported Greece being in the eurozone. But now it is more important to protect the currency union than to keep Greece in the zone whatever it takes," he said. 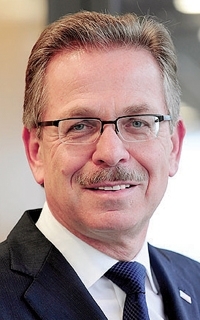 Bosch's Fehrenbach wants new Marshall Plan for Europe. He criticized German politicians for calling on German companies to invest more in Greece. It was "unrealistic" to expect suppliers to produce parts for the auto industry in Greece when countries such as Poland, Hungary and Romania are more competitive, he said. Fehrenbach said politicians are doing too little to tackle the core of the eurozone's problems. Austerity measures and financial bailouts are not enough to solve the crisis. Instead Europe needs to adopt a new Marshall Plan-style program to help Greece recover, the CEO said. Bosch ranks No.1 on the Automotive News Europe list of the top 100 global suppliers with worldwide original-equipment automotive parts sales of $34.5 billion in 2010.